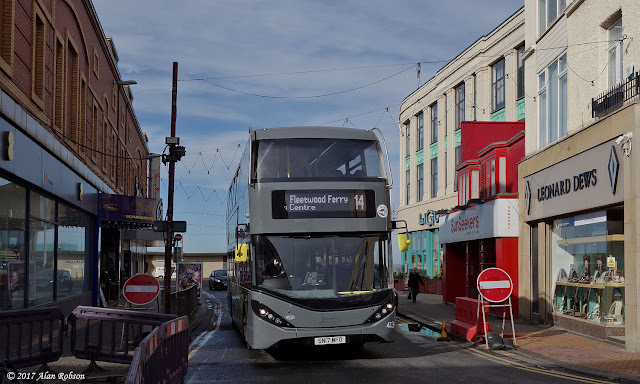 Several vehicles from Blackpool Transport's large order of 25 new ADL Enviro 400 City buses have entered passenger service in the last few days. 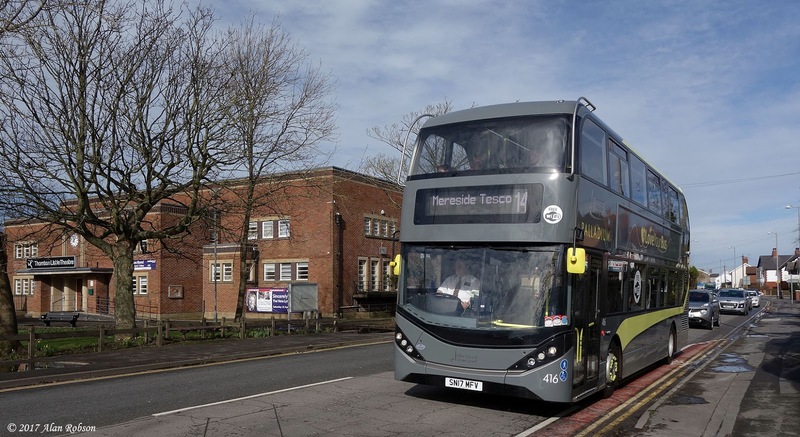 A handful of buses out of the batch were noted in use on service 14 on 4th March, vehicles spotted were 411, 413, 416 and 417, although there may have been more of the new Enviros out. 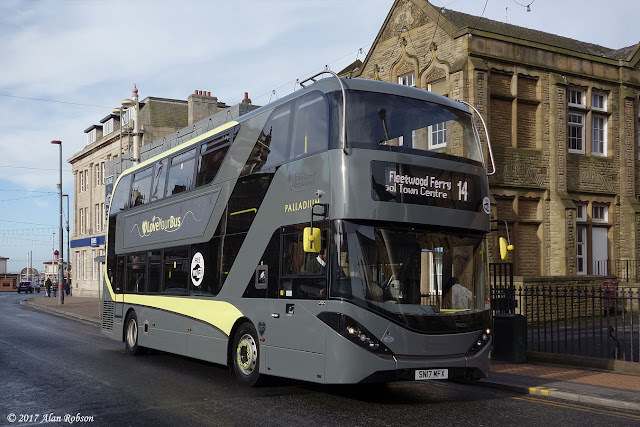 A hideous look for a well designed bus. 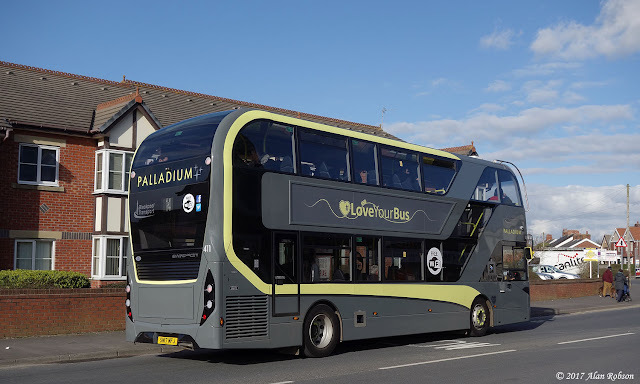 Please BT, bring back the green and cream. It would look so smart. 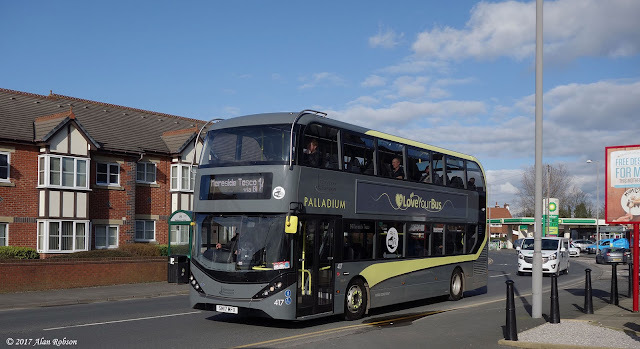 It is rather a dismal colourless livery (especially in dull weather), which is a real shame as they are very nice buses and would look great in a proper colour scheme.